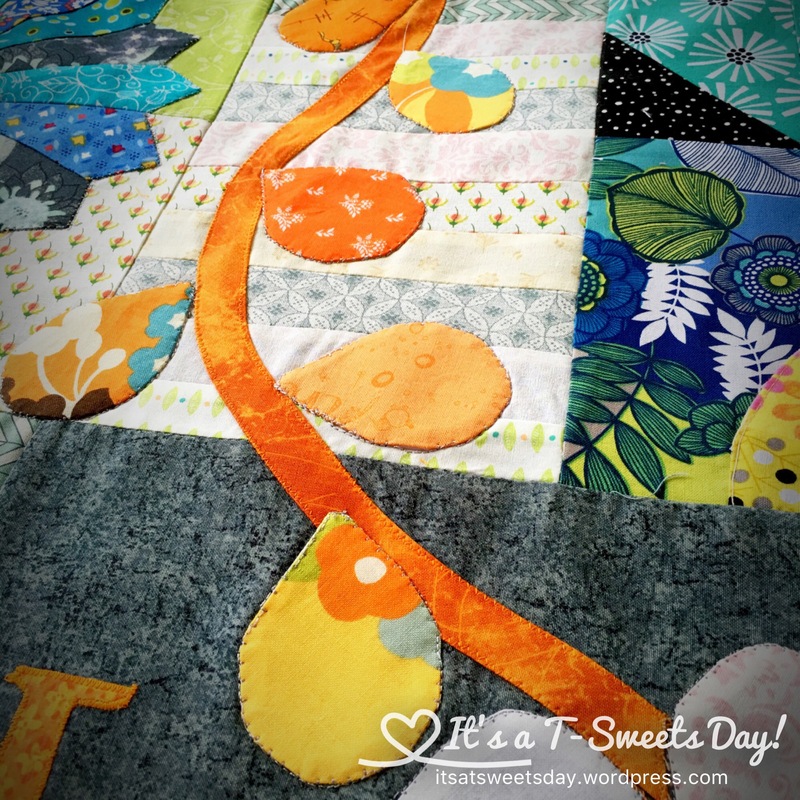 Dear Daughter – chapter 5 – It's a T-Sweets day! 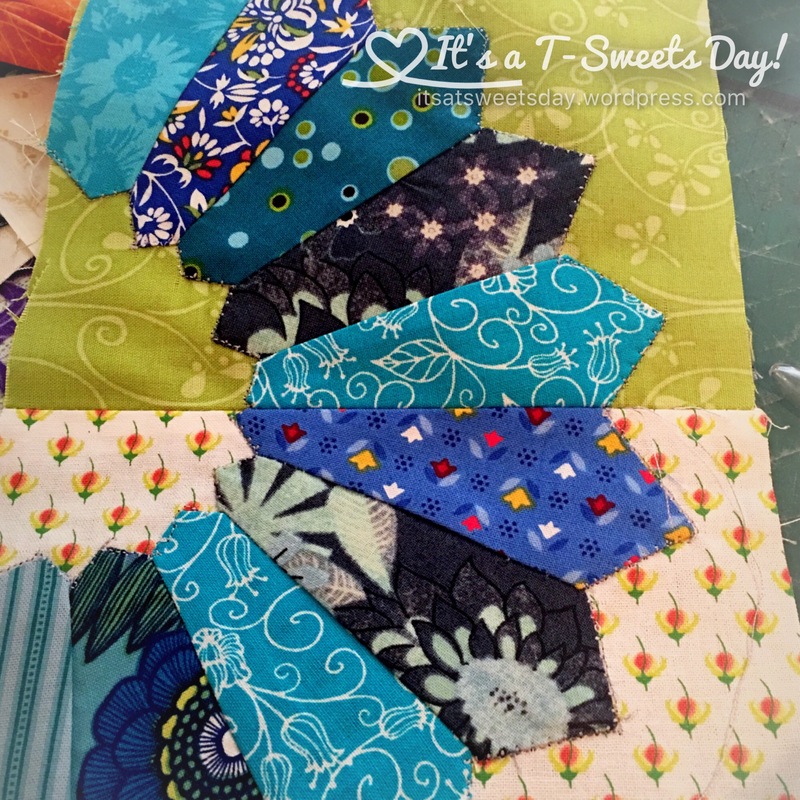 Published on August 21, 2016 August 21, 2016 by Tracy @ It's a T-Sweets Day! I have only been able to sew here and there for a few minutes at a time these last few days, but little bits add up to bigger things. Here is the proof! Didn’t it turn out wonderful:)? 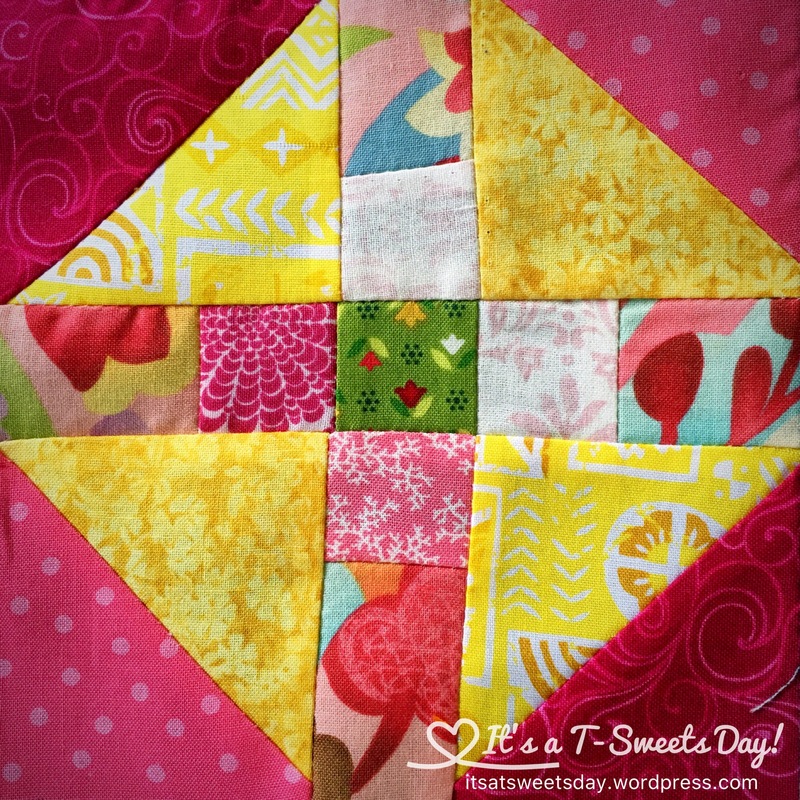 This is the 5th chapter of the Dear Daughter BOM by rebeccamaedesigns. It is so fun!! I really like the Dresden plate block. It is a fun technique. It really is quite easy. 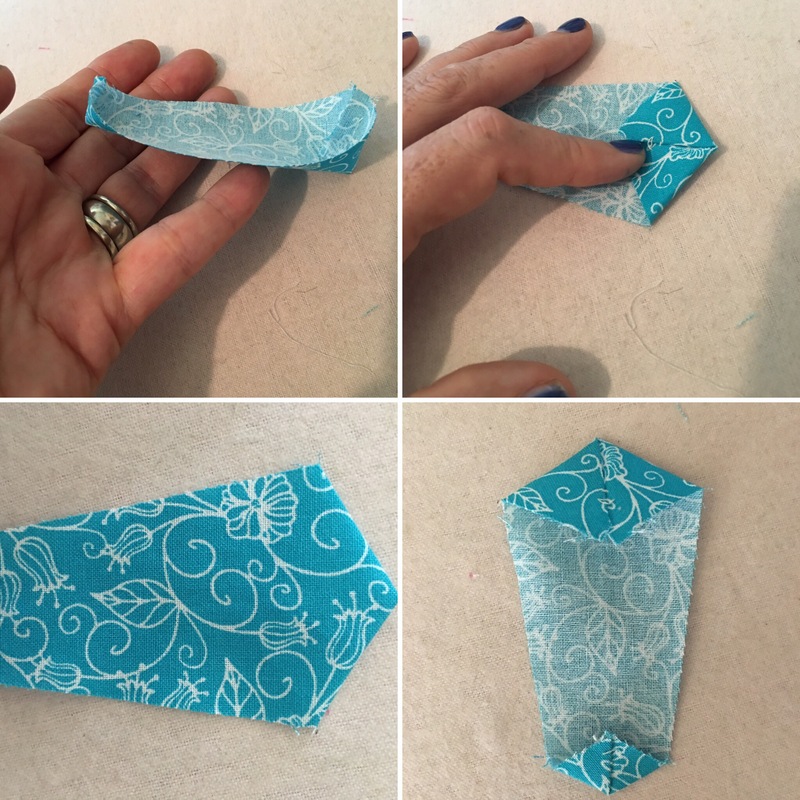 Using a Dresden ruler is the best way, but Sherri includes a pattern as well. After the sewing, I flipped them out and used a stiletto to get the point sharp. Then a nice press set the angles. The next new block was quite easy. I like the lemonade pink and yellow. 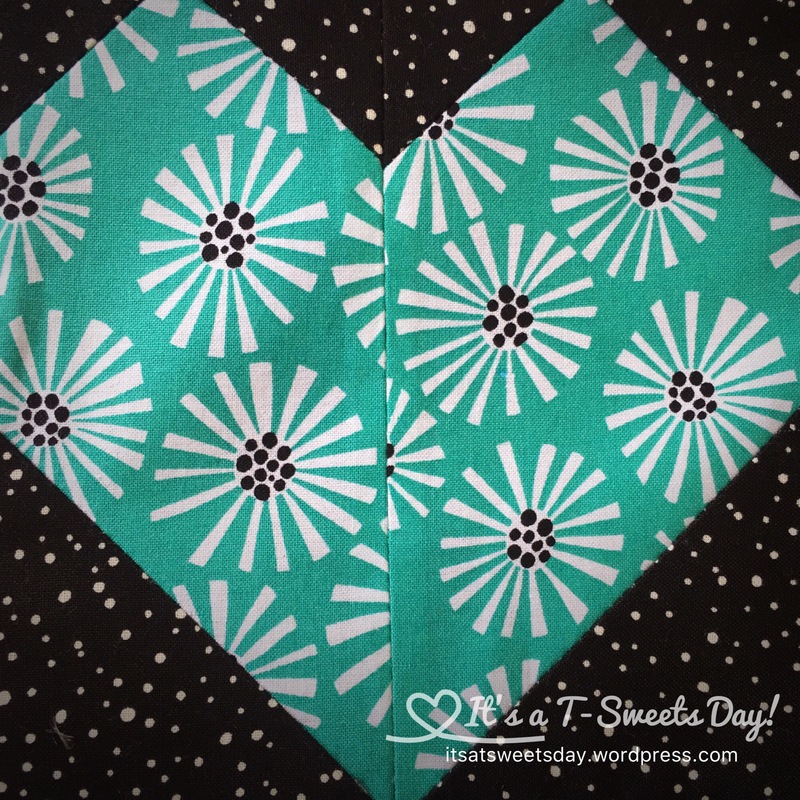 And the teal and black heart looks good too. 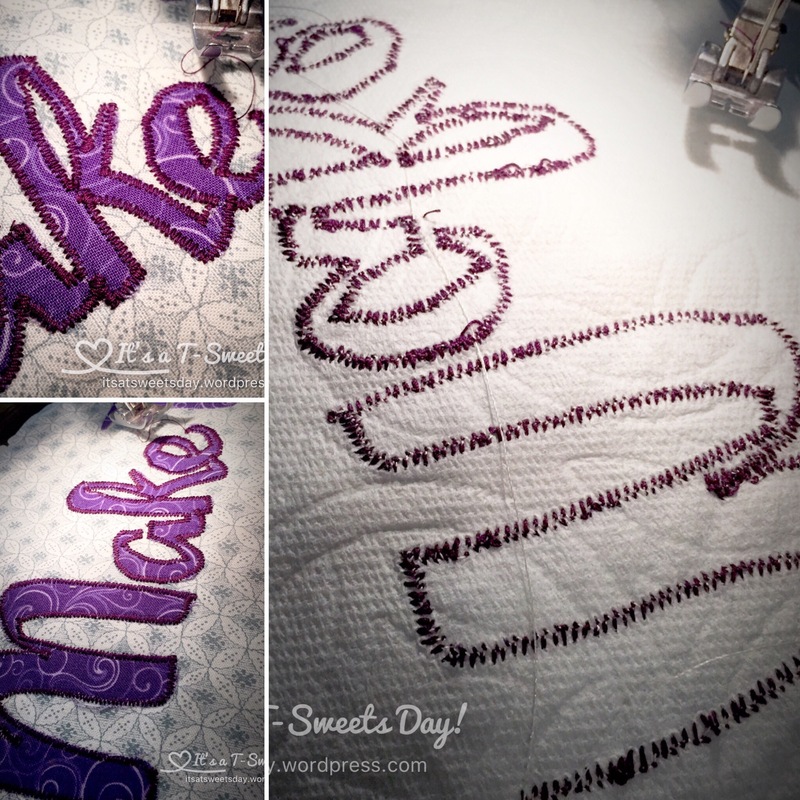 This quilt calls for lots of lettering, but using heat and bond makes it a breeze. I have to use my old Pfaff Tiptronic because my Juki only has a straight stitch. I use a paper towel behind the lettering. It is inexpensive and works great. I just keep a roll by my sewing machine. 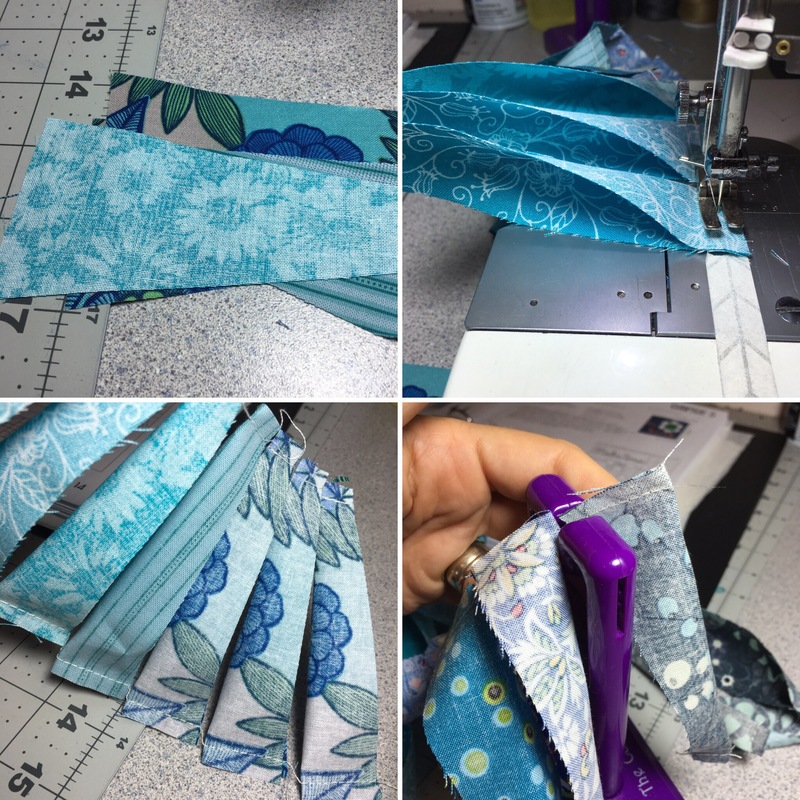 Instant stabilizer that tears away so easily! 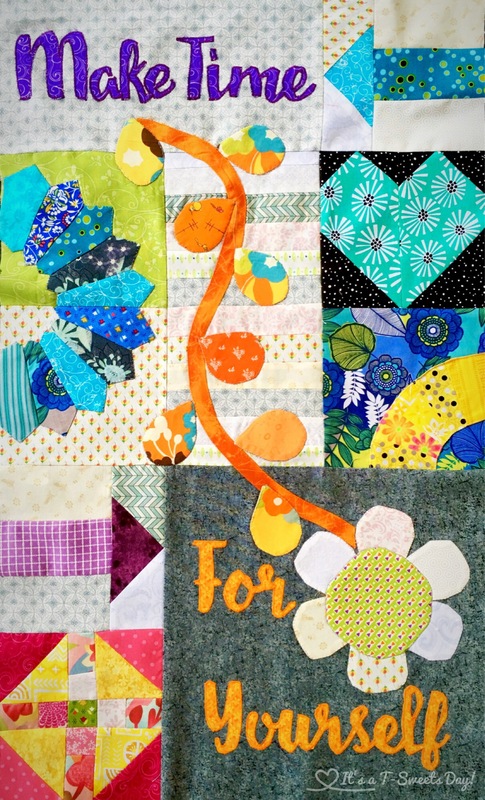 I am still a few chapters behind with this quilt, but I plan to work a little harder on it next week. The next few chapters don’t look as intricate. I’m sure I can get one or two more done next week. Am sure liking where this is going! The “paper towel” hint is a good one!! Me too:) Thank you so much! 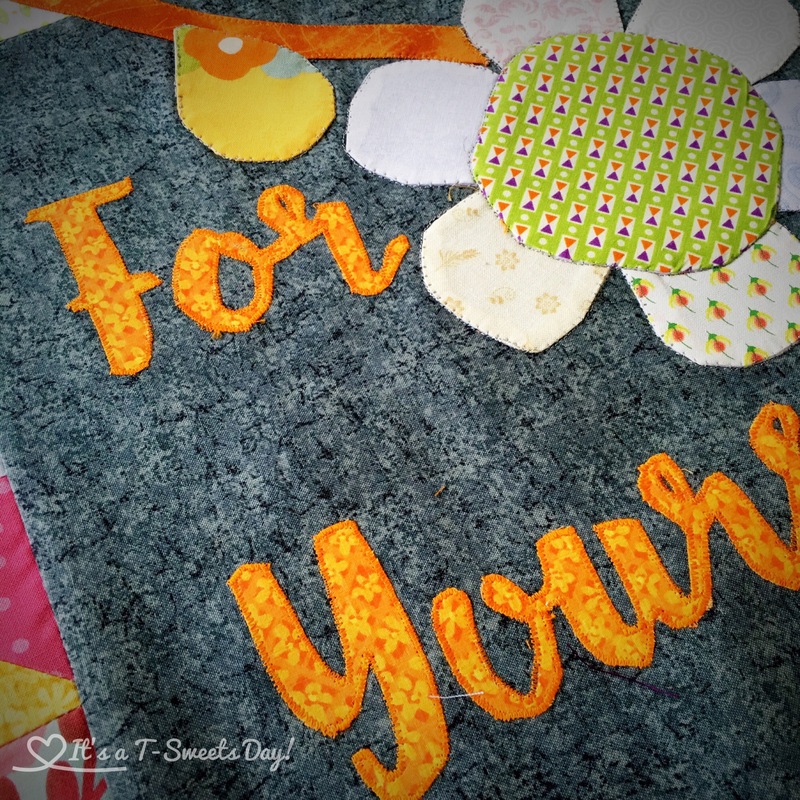 The paper towels are a great way to go for the easy appliqué. 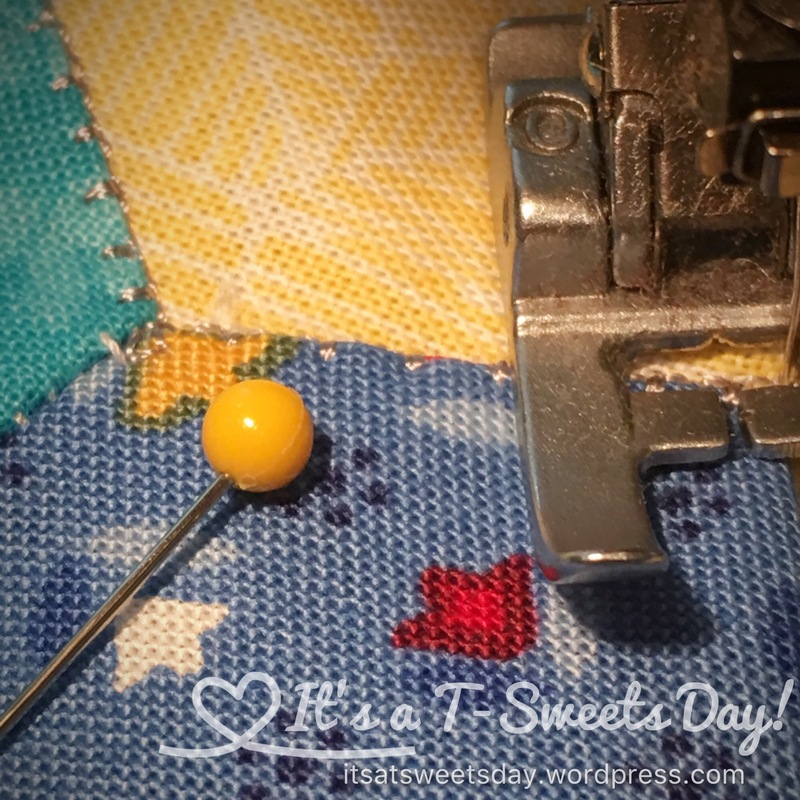 I still use the solid stabilizer for my embroidery machine.